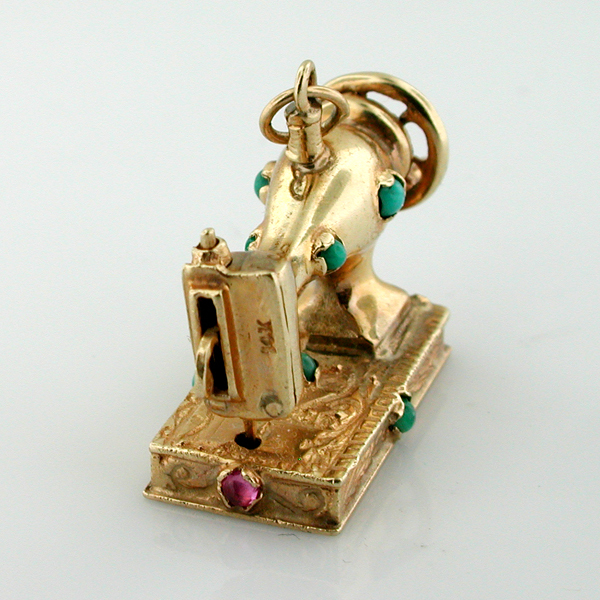 This is a vintage 1960's Hand Crank Sewing Machine mechanical charm. The needle moves up and down with movable hand wheel. 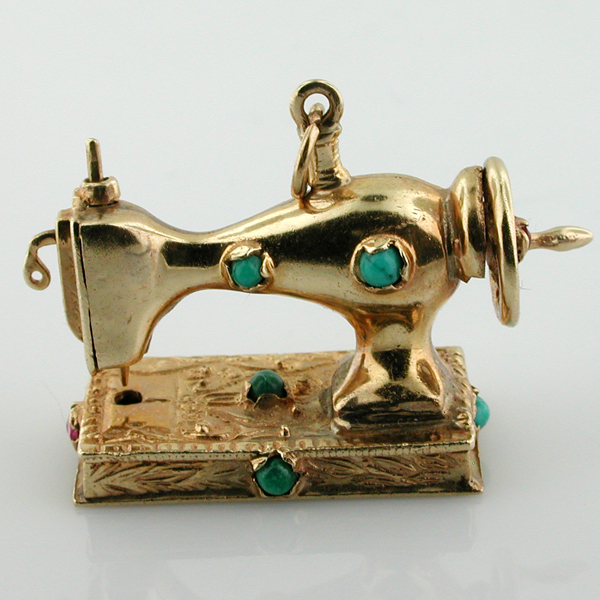 This outstanding vintage piece of jewelry is crafted in 14K gold and enhanced by 8 genuine turquoises, and 2 natural rubies. Measuring 1-5/16" x 9/16" x 15/16" (33.4mm x23.8mm x 14.6mm), and weighing 11.4 grams. 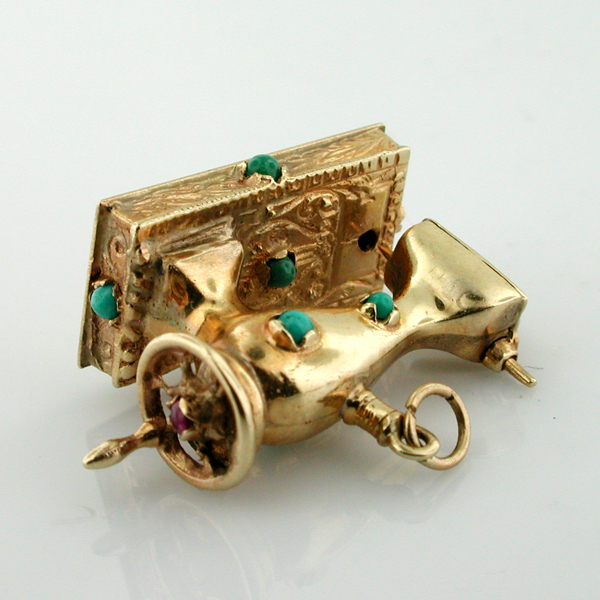 Marked 14k and guaranteed to be 14k gold. It is in good vintage condition. 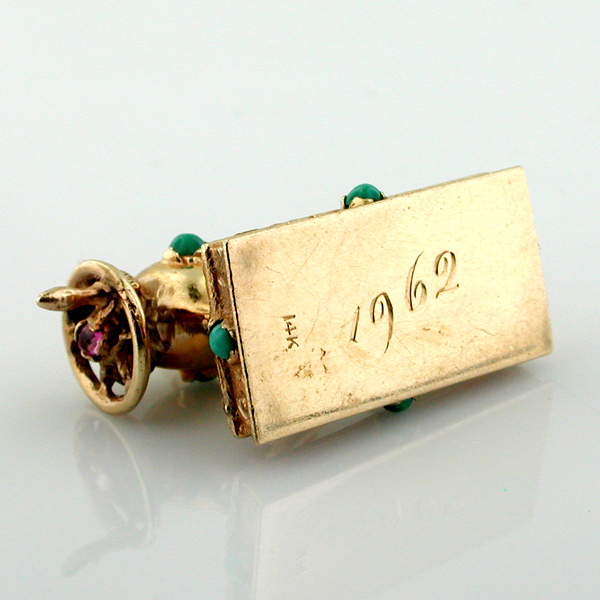 The charm dates to around the time of the inscribed date "1962" on bottom. 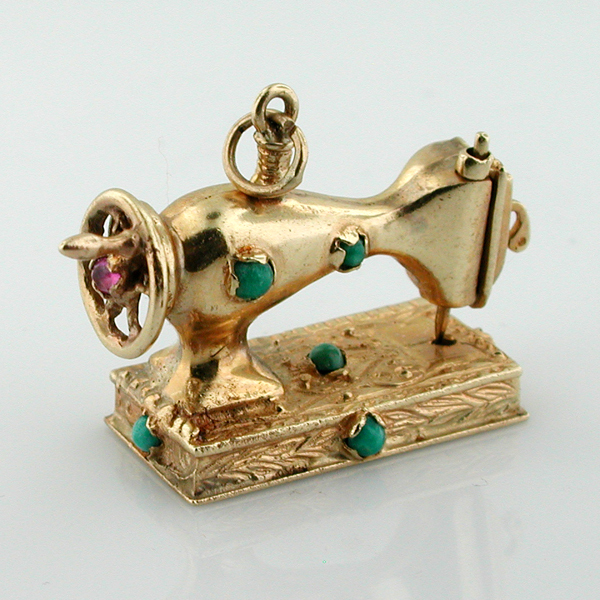 Ideal addition to any charm collection!